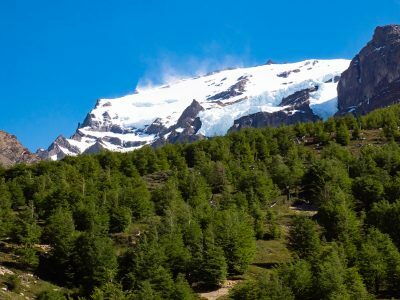 The pain began not long after we started the first major uphill stretch of our hike to Los Torres – the famous Torres del Paine. It felt like someone was stabbing my right calf over and over, and it started to slow me down. I stopped to take a quick break, drink some water, and stretch – hoping that would solve the problem. But the tension and pain didn’t dissipate, and I found myself needing to take more breaks. I started calculating how often I could stall by stopping to take a photo or admire the view. I silently cursed myself for not spending more time training. “Why didn’t we walk more stairs?! Do more lunges?! Do more squats? !” To be fair, we did a good amount of prep for this trip – stairs and lunges and squats, cardio, resistance training, and a lot of walking. But we also did a fair amount of taco eating, and sitting on the couch reading good books or watching bad TV. I introduced myself to one of our guides, Javier, who was bringing up the rear, telling him that we were going to be good friends on this day. 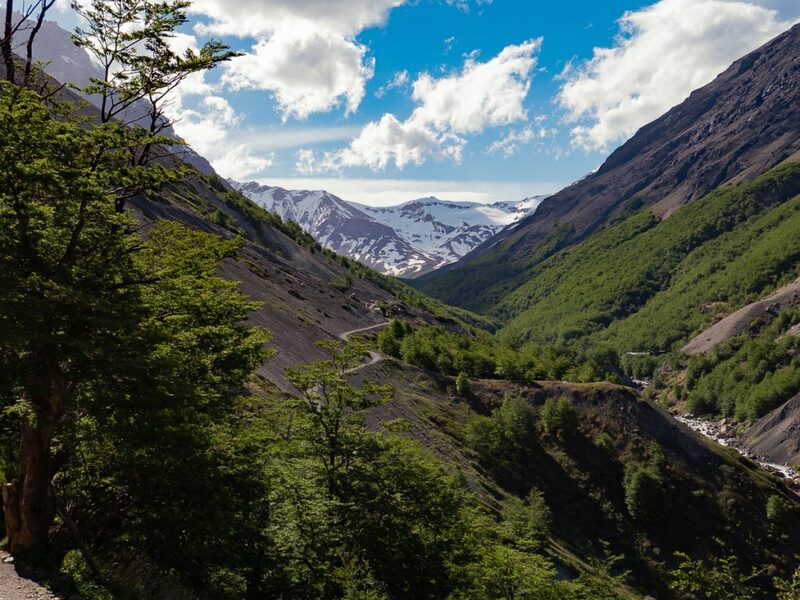 I am often the slowest hiker for a variety of reasons – sometimes because my knees like to scream at me (oddly enough, my knees were fine all throughout Patagonia), but mostly because I like to stop and take photos. Our group got further and further ahead of us, disappearing around curves only to emerge with one less person visible, until I could no longer see anyone. I finally sent Kyle ahead to hike with the group – to make sure he wouldn’t miss out on the right timing to make it to the Towers. I made him promise to go on without me – assuring him that I would be fine and would see him soon. 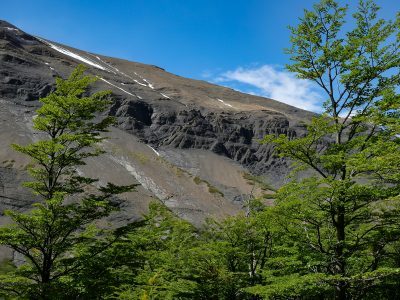 I slowly hobbled up the trail, enjoying the views, and trying to power through the pain while chatting with Javier, before finally walking into the first refugio – surprisingly only about 5 minutes later than the rest of the group. This situation repeated itself two more times before the day was over. At times like this, it can be hard to be unconditionally accepting of yourself – follies and failures and all. I’d spent so much time, effort, and money to be here – I’d dreamed of gazing upon those Towers and taking the iconic photo. But that day my body was telling me that, even after training, and dreaming, and coming all this way to see the Towers, it just wasn’t going to be possible in the way I had imagined. “No quiero suffrir,” I said to Javier. But it can be hard not to feel disappointed, and like you’ve ruined your day or messed up the entire trip. 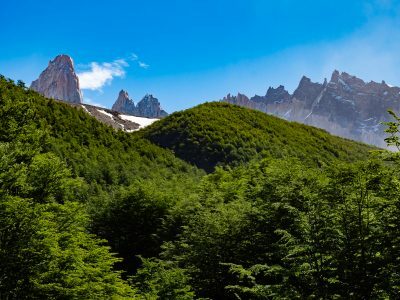 I came to Patagonia to see the famous Towers. But I also came to Patagonia to have a good time. I wanted to challenge myself, but also enjoy my time trekking in the park. I wanted the opportunity to be present in this place and this experience. To take the time to listen to the wind in the trees, and the rushing sound of the rivers. To discover the odd things that my brain decides to spit out when I’m walking by myself in the woods (Britney Spears’ “Toxic” – really, subconscious??). Unfortunately, on that day, both options weren’t possible. So I chose the most important one. Somewhere around the second refugio, I opted to only hike up to the final refugio – and not do the 2 mile final push up the vast hill of scree to gaze upon the Towers. I decided to accept who I was that day, and what my situation was (without beating up myself or anyone else for it). I decided to practice self compassion. When I made that choice, something magical happened. I stopped feeling bad. I stopped feeling rushed. I stopped beating myself up for being slower, and for running into unexpected muscle problems. I stopped trying to figure out how to stall, or look for ways to talk myself into powering through the pain and finishing the hike. I let go of the wanted outcome and embraced the actual situation. And I started enjoying my time here – and the views – and the trail – and the hiking. Sure, my calf muscle was still fully on fire – but I just didn’t care as much about it. I began to worry less about that and to focus more on enjoying this place as I was – and not as I or anyone else expected me to be. At the final stop before the push to the towers, I kissed Kyle goodbye and told him to go on without me. I urged him to be light and swift and true on that final bit. To go and see the Towers, and enjoy it all, and bring me a photo. And then the group left me behind, on a cliff in a curve of the trail, with heavy winds whipping all around us. I was all alone – except for Javier, my shadow that day. We spent about 3 minutes in the crazy winds before we decided to head down the trail a bit and into the forest. We sat in a quiet glade where the wind was calmer. A strong breeze rustled in the trees overhead, and I was mesmerized by the light & shadows dancing on the ground as we ate our lunch. I began to get cold just sitting there, so I asked Javier how big my radius was – exactly how far was I able to go before he had to get up and follow me. He said if I agreed to stick to the trail, that we could leapfrog down the trail back to the start. I would go ahead, stopping frequently to take photos and enjoy the views, and he would catch up to me every 20 minutes or so. So that’s how I spent the rest of the day. I would set off down the trail, stopping as often as I wanted to take in the view or rest my calf. I paused to watch snow dancing in the wind on the glacier, and caught a glimpse of the tips of the Towers peeking over the ridge. I listened to the water rushing over boulders in the river below the cliff, and discovered a dinosaur/dragon scale pattern in a small ridgeline on the mountain across the way. I tilted my head to face the sky, feeling the wind on my face as it whipped the leaves around in the trees. 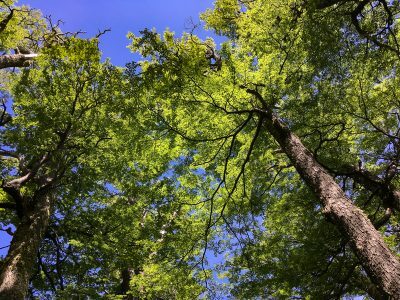 I fell into a sort of meditative zen pace with my walking – fully immersed in the moment and its activity – walking on trails that require a lot of concentration and attention to where you put your feet. Javier would catch up to me every 20-30 minutes, appearing around a bend as I sat on a rock enjoying the view. We would chat for a few minutes and then I would head off again down the trail. 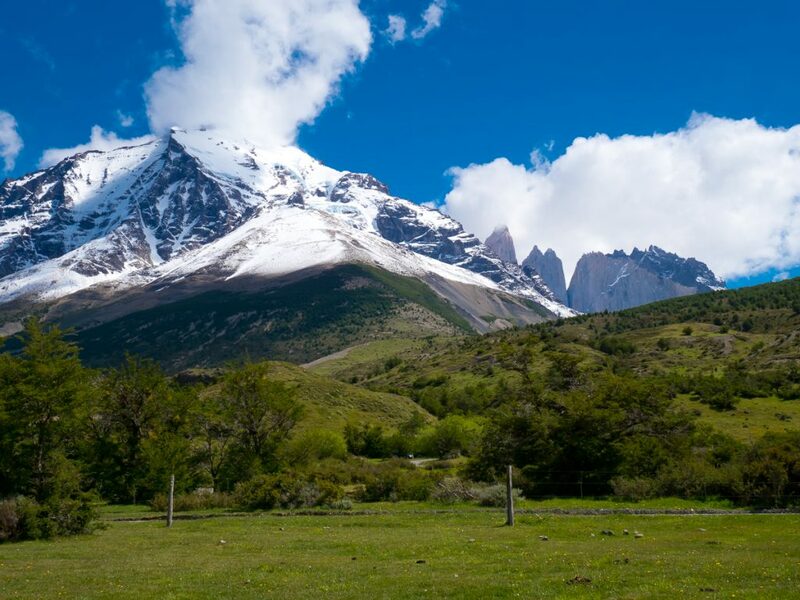 It was exactly what I had imagined my Patagonia experience would be like. Enjoying time outdoors, challenging myself physically, but also having the time to pause and soak it all in. To be touched by this special place and inspired to explore more. Letting go allowed me to slow down and appreciate where I was and what I was getting to do. I did cry that afternoon, but maybe not for the reasons you suspect. I was thinking about how much I wanted to see Kyle’s face when he saw the Towers for the first time, and that I was disappointed that I wasn’t going to get to see that face and share that experience with him. But that’s not what made me cry. I cried when I realized that I know Kyle and his face so well that I already knew what his face looked like when he first saw the Towers. That sly boyish grin of delight. Slightly squinty eyes from all the sun and wind and dust. Pure happiness and contentment. I know that face better than I know my own. I didn’t need to be there to know what his face looked like in that moment. The gratitude and awe in that realization made me cry tears of joy. Patagonia surprised me. But I may have surprised myself even more. I hiked 11 miles that day – on a bad calf muscle with a LOT of hills, both up and down. I soaked in the experience of being in this place on my own terms and in my own way. I went from almost being blown off a cliff to dancing in the wind. And that gorgeous view of the Towers from the initial refugio as Javier and I sat drinking beer and waiting for the rest of the group to return – it was sublime. Side note: This was just Day 1 – there were still 3 more days of hiking after this – and I finished them all (& wasn’t always the last one). So many more things to share about our time in Patagonia – from crazy weather, to borderline hypothermia, to some of the most beautiful days spent hiking with lovely people. Plus, there were way more adventures with Kyle than without. And cheese trays with copious amounts of wine. Stay tuned.